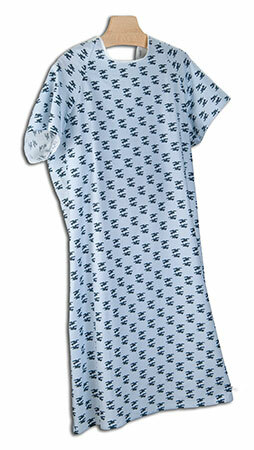 Patient gowns to accommodate the bariatric and large size individuals. Our 3X gown offers a 63" sweep and 50" length. The gown offers an overlap tie at neck and angle back tie at waist for proper hang and modesty.